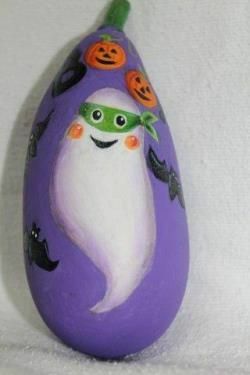 GOURD ORNAMENT "BOO!!! I'LL SCARE YOU"
Pattern Packet includes pattern, instructions, and 2 photos. Each packet has three sizes of the pattern. Gourds are not all the same size even in the same breed category. The extra patterns allow you flexibility as to which size will fit the gourd size available to you.